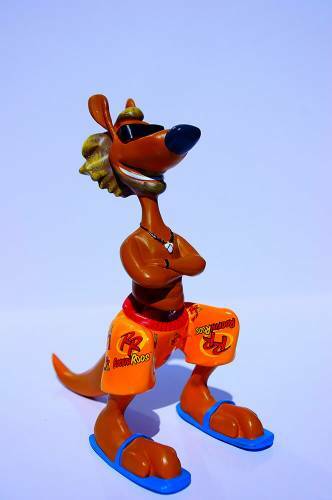 Boomer’s name is derived from a surfing term meaning “dumping wave” and can also mean “an especially large kangaroo”. Boomer is our cool surfer dude that loves the deep blue sea and all the freedom that comes when you are out on the water or soaking up the beach lifestyle. 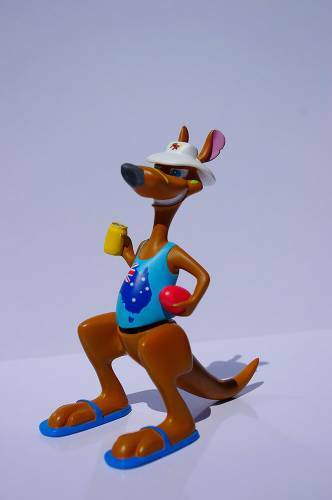 Boomer is manufactured using a polyresin material and stands roughly 160mm height. He has adhesive pads on his feet so he can stick to a surface of your choice which allows him to rock around. 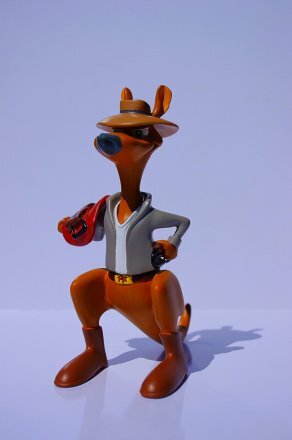 Boomer is hand painted using non-toxic paints. He is packed in a white box surrounded by a foam casing to ensure he is well protected when traveling. 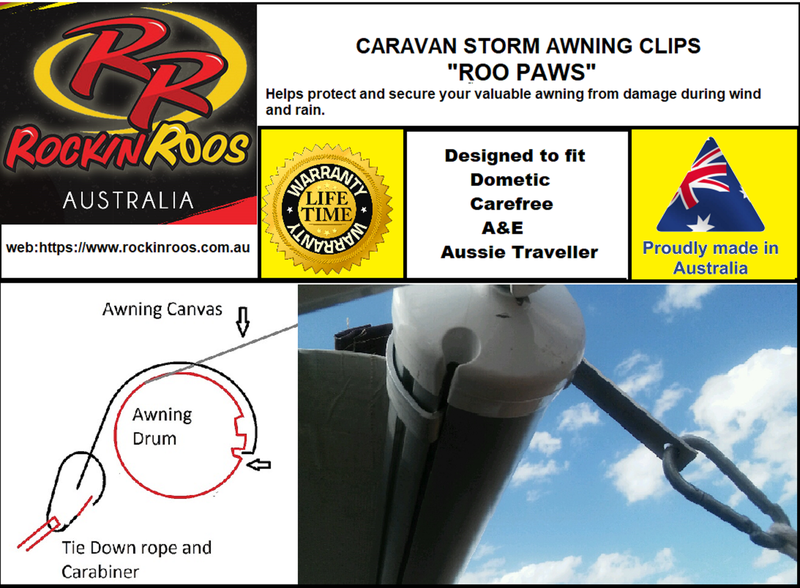 Our Roo Paws Caravan Storm Awning Clips are the strongest up to date and easy to fit awning rope clips you will ever need. 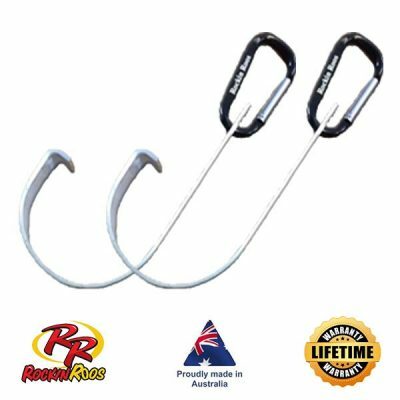 Made from aluminium, they are durable,light weight and will not be affected by UV like ropes and slings. 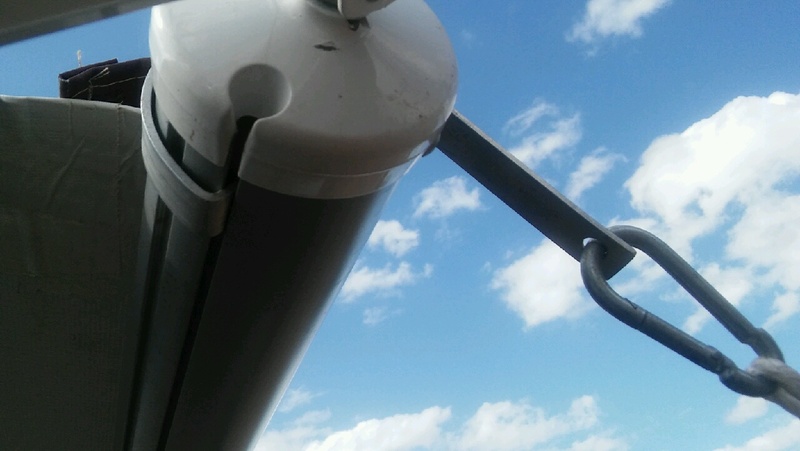 In addition our design provides support to your drum mechanism by locking the drum awning in place and gives you a nice taught cover on your awning. They take seconds to attach the clips and loop your rope or tent type rope through the carabineer and peg it down. 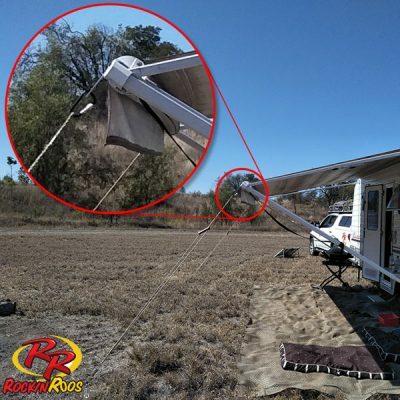 No more fiddling around tying ropes or straps to the awning. 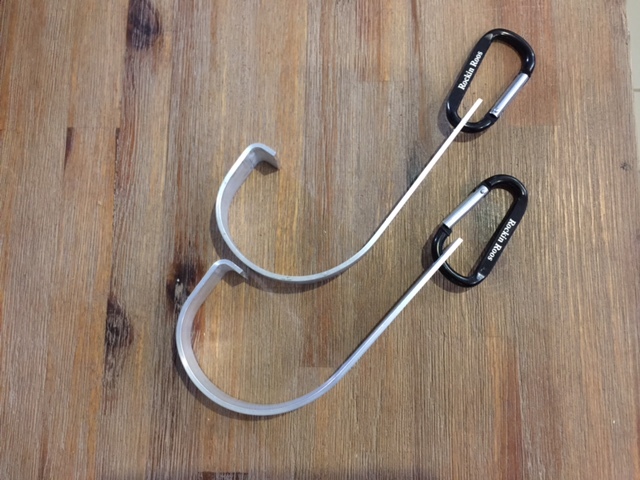 We happily back our product with a LIFETIME WARRANTY on the Roo Paw clips themselves. Keep your awning from being damaged in the wind or rain whilst camping. Remember in gale force or very strong winds don’t rely on anything. Just put the awning up. 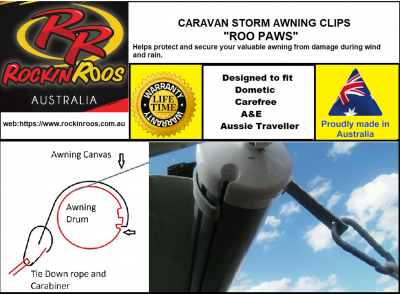 You will see our famous clips on most vans and motorhomes as you travel this wonderful country as well as our own Rockin Roos Caravan as WE proudly test everything we sell. REMEMBER WHEN SETTING UP ENSURE YOU HAVE SLOPE ON YOUR AWNING IN CASE IT RAINS SO THE WATER WILL RUN OFF. Clips are designed to fit Domestic 8300, 8500, A&E, Carefree and Aussie Traveller awnings. You only need to remove one when you wish to fit an annex or shade to the awning. 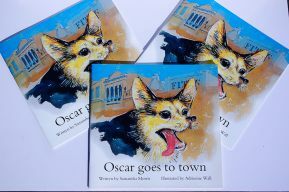 The price includes a pair of Roo Paws, postage and handling within Australia and Fitting instructions. Jackaroo is our outback rugged man living and working on the land. Saddle and whip in hand, Tough and resourceful he is ready to ride up a storm and rustle up those rascally cattle. Jackaroo is manufactured using a poly resin material and stands roughly 160mm height. He has adhesive pads on his feet so he can stick to a surface of your choice which allows him to rock around. 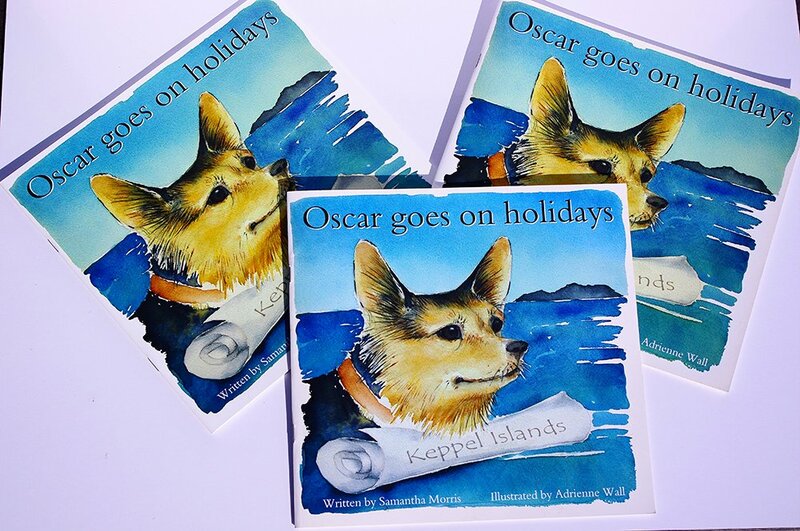 Jackaroo is hand painted using non-toxic paints. He is packed in a white box surrounded by a foam casing to ensure he is well protected when traveling. 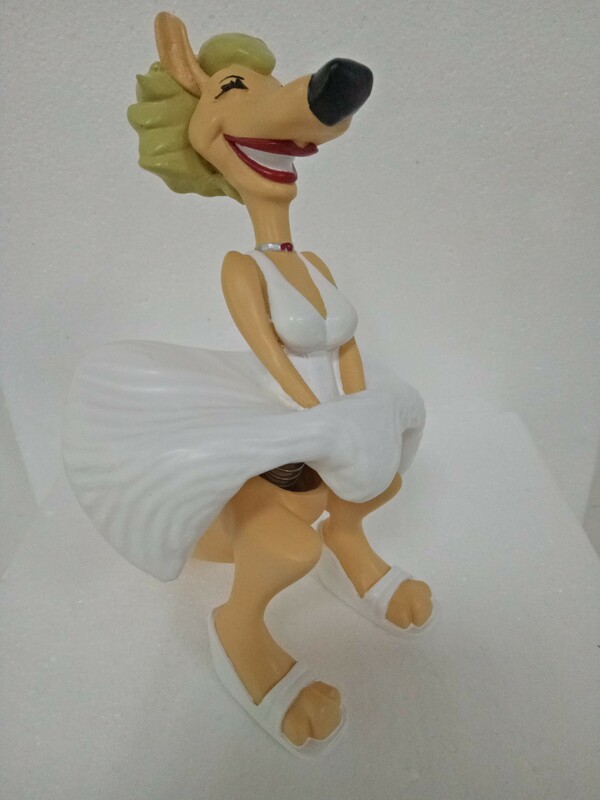 See our world famous Marilyn Monroo in her resplendent white dress. 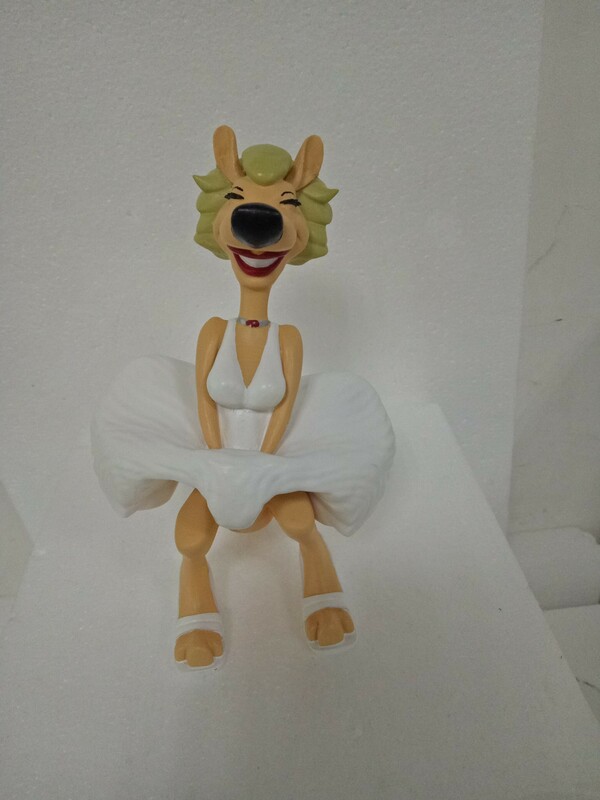 This glamorous lady is made from high quality Poly Resin and she is hand painted. She stands roughly 165mm in height and has 3M double sided adhesive tape on the soles of her high heels allowing her to stick to many surfaces. Monroo has a specially designed high tensile spring to ensure long life and gives her the ability to rock with motion. She is packaged and ready for transport in a foam packed white box and postage is included in the price for Australia only. 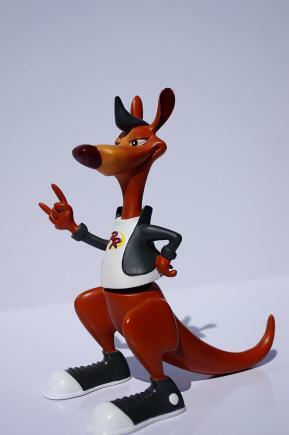 All our Rockin Roo products are quality controlled prior to sale to ensure you get the best product. International orders please email us at enquiries@rockinroos.com.au so our staff can obtain accurate postage costs before placing your order. Order her for your dash today and be the envy of the neighbourhood. 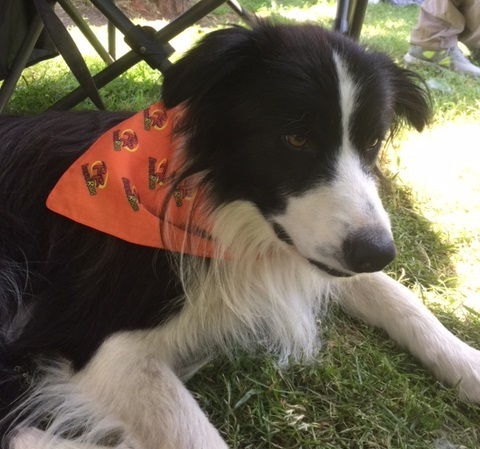 Rockin Roo Designed Bandanas are made from polycotton with fully stitched sides to avoid fraying. We chose polycotton for its breathability, wash and wear benefits, holds the colour well and no shrinkage. 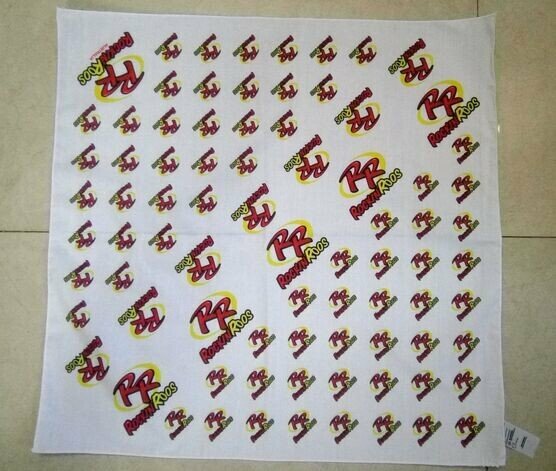 Each bandana is 50cm x 50cm which is large enough to wear around hats, as neck scarves, in your hair, as a pet accessory or even around your head. 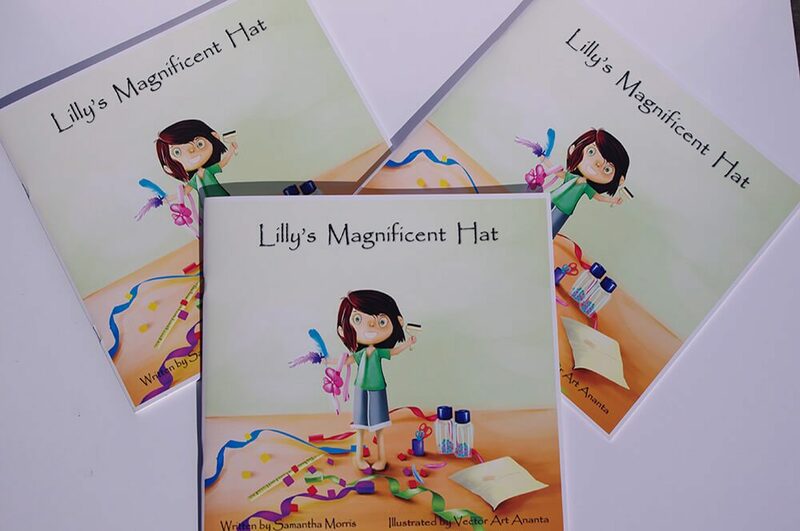 Our bandanas come packaged in clear wrapping with washing labels. 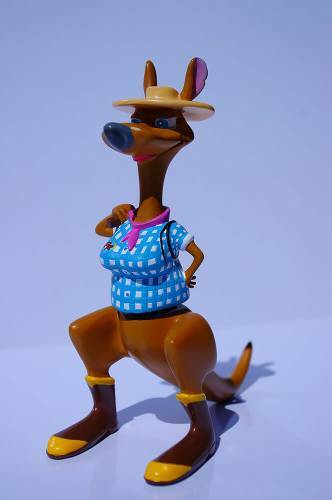 All Rockin Roos merchandise are checked for quality control before purchase to ensure you recieve the best product. All Rockin Roos merchandise is checked for quality control prior to your purchase to ensure you recieve the best product. 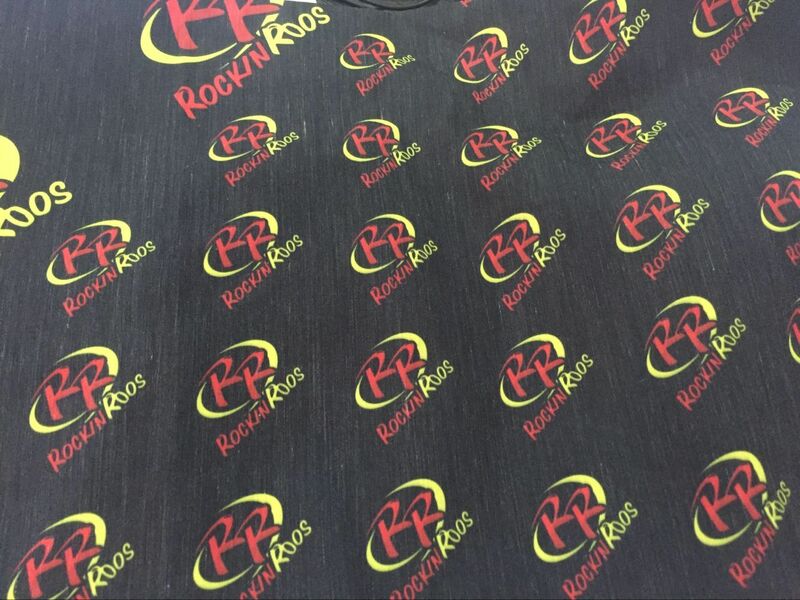 Rockin Roo Designed Bandanas are made from polycotton with fully stitched sides to avoid fraying. We chose polycotton for its breathability, wash and wear benefits, holds the colour well and no shrinkage. 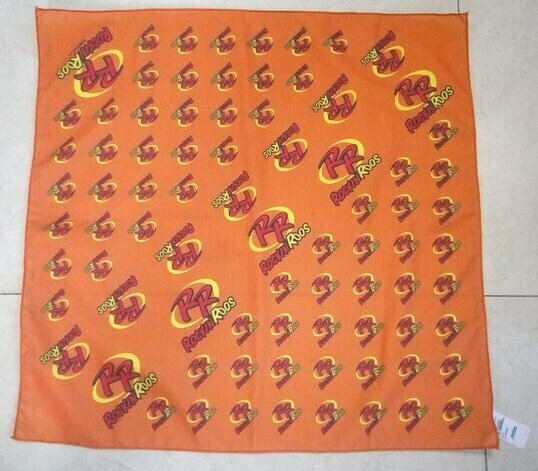 Each bandana is 50cm x 50cm which is large enough to wear around haneck scarves, in your hair, as a pet accessory or even around your head. Our bandanas come packaged in clear wrapping with washing labels. Our coolers are Australian made using 5mm neoprene material that has been fully stitch. This quality product has been dye printed so your favourite character will not peel off like other inferior coolers. Our coolers come with a base to ensure your favouite beverage stays cool and in the cooler. All Rockin Roos merchandise are checked for quality control prior to your purchase to ensure you recieve the best products. Our coolers are Australian made using 5mm neoprene material that has been fully stitch. This quality product has been dye printed so your favourite character will not peel off like other inferior coolers. We offer these coolers with or without a base depending on your needs. Rocky is a City Roo Born and Bred. Rocky loves the hustle and bustle, cars and rocking to a great live band. Sometimes you might even see him get his sneakers on rocking on the dance floor. 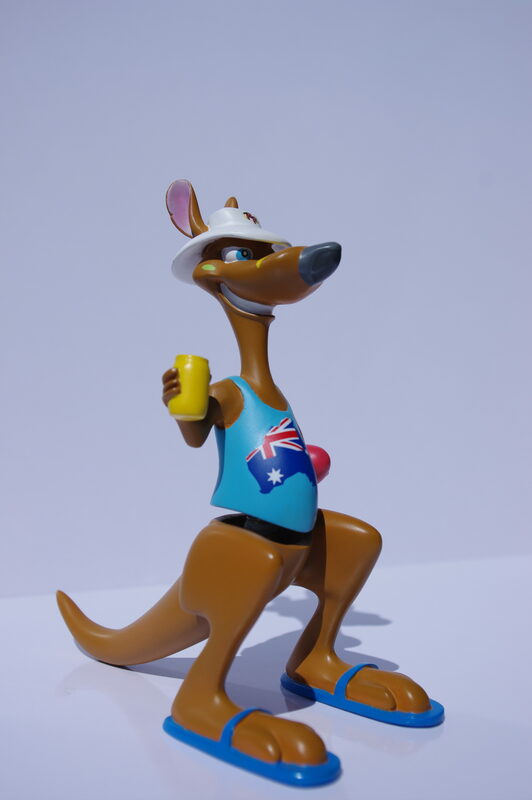 Rocky is manufactured using a high quality poly resin material and stands roughly 160mm height. He has adhesive pads on his feet so he can stick to a surface of your choice which allows him to rock around. Rocky is hand painted using non-toxic paints. He is packed in a white box surrounded by a foam casing to ensure he is well protected when traveling. 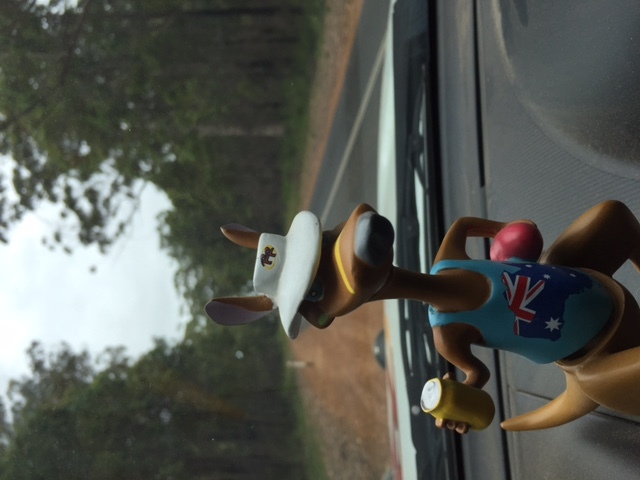 Trueroo reflects our love of our country and the Aussie way of life. Cheeky fun loving and loyal to boot. With a footy under the arm, a cold one in hand, his floppy hat and his slip, slop, slap he is ready to enjoy the great outdoors. Trueroo is manufactured using a poly resin material and stands roughly 160mm height. He has adhesive pads on his feet so he can stick to a surface of your choice which allows him to rock around. Trueroo is hand painted using non-toxic paints. He is packed in a white box surrounded by a foam casing to ensure he is well protected when traveling. All Rockin Roos merchandise is checked for quality control prior to your purchase to ensure you recieved the best products.